University of Arkansas Press, 9781557289889, 257pp. 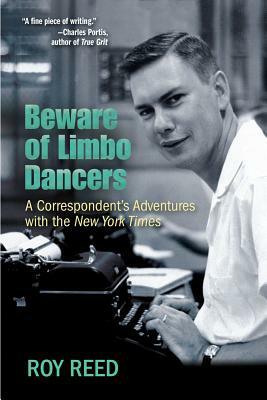 This witty, wide-ranging memoir from Roy Reed--a native Arkansan who became a reporter for the New York Times--begins with tales of the writer's formative years growing up in Arkansas and the start of his career at the legendary Arkansas Gazette. Reed joined the New York Times in 1965 and was quickly thrust into the chaos of the Selma, Alabama, protest movement and the historical interracial march to Montgomery. His story then moves from days of racial violence to the political combat of Washington. Reed covered the Johnson White House and the early days of the Nixon administration as it wrestled with the competing demands of black voters and southern resistance to a new world. The memoir concludes with engaging postings from New Orleans and London and other travels of a reporter always on the lookout for new people, old ways, good company, and fresh outrages. Roy Reed was a reporter from 1956 to 1978, after which he taught journalism at the University of Arkansas for sixteen years. He is the author of two books: "Looking for Hogeye" and "Faubus: The Life and Times of an American Prodigal," and he is the editor of "Looking Back at the Arkansas Gazette: An Oral History."